During Snark Week, let’s look at five contenders for this category — I know there are more, suggest them in the comments! This BBC miniseries hasn’t been released yet, and so we haven’t seen the full wardrobes … but what the hell is Gillian Anderson as Anna Pavlovna Scherer WEARING here — a bridesmaid’s dress from David’s Bridal? I’m sorry, has anyone heard of one-shouldered gowns in the Regency era? That looks like a sheer georgette overlayer. Did they HAVE georgette in the first decade of the 1800s? WHOA. That’s a whole lot of armpit there. And clearly boning used to hold up the sleeveless half. Maybe the bridal alterations place messed up and hacked off one sleeve? Okay, so yes, this movie is a classic and rightly so. We watch it at my house at least once a year, and phrases like “Bumpuses!” and “I like the Wizard of Oz” are used weekly. The filmmakers clearly weren’t working with a huge budget, but they did a decent enough job showing a middle-class family in the 1930s … except for mom’s hair. WHAT is up with that bad 1980s poodle perm? It looks like the actress (Melinda Dillon) even has naturally straight hair, so this is DEFINITELY a perm. There’s just nothing 1930s about it. It’s not waved or pin-curled, it’s not styled at all, and THOSE BANGS! Okay, sure, everyone looks fine. And okay, maybe she wouldn’t worry about styling it too much when she’s at home. But it looks like this when they go out! No self-respecting 1930s woman would EVER have hair like this. Okay sure, it’s long, it’s got full sleeves, I can buy this. Bias-cut satin evening gown, sure. 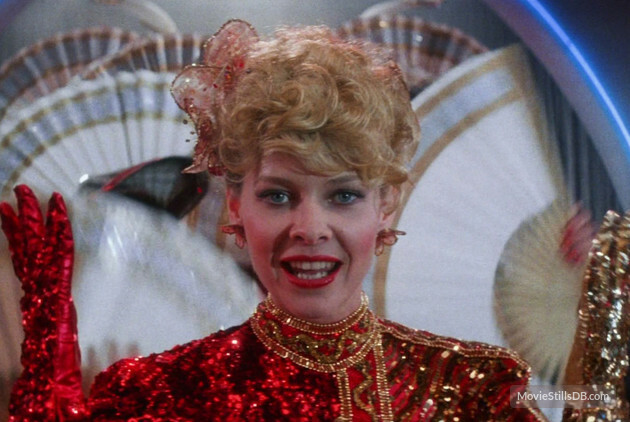 But really, Kate Capshaw in Indiana Jones and the Temple of Doom (1984) is BEYOND 1980s. I mean, sure, you could work really hard to tell me that this “bwong! !” sort-of-Chinese-Cheongsam is 1930s. But it just looks like something from Dynasty to me. AND THAT HAIR. THE HAIR JUST RUINS IT. And then once they’re off on their adventures, she’s in a white shirt and 1980S MOM HAIR. There is no way in hell she’d have a base haircut like that. I’m so confused when I look at mid-century (1940s-60s) Westerns. When the hell are they set? It seems like it’s ye oldey-timey 19th century, as everyone’s riding horses to get around and there’s no pizza delivery. But then all the women are in jeans, and the hair is just uber-of-its-period, and I have no idea. The Searchers is a great example: it’s set in 1868. Please to enjoy. Okay so sure, “jeans” were invented in the 19th century — the Levi’s company started in 1873 — but I doubt that the people who wore them looked like they came out of an Abercrombie & Fitch catalog. So the lady on the right’s dress looks somewhat 19th century, with the full skirt and the cap on the sleeve. But the older lady on the left just looks like she’s from Dust Bowl Oklahoma. No woman over the age of 16 would wear her hair in braids. AND NO WOMAN IN 1868 WOULD WEAR JEANS. EVER EVER EVER. 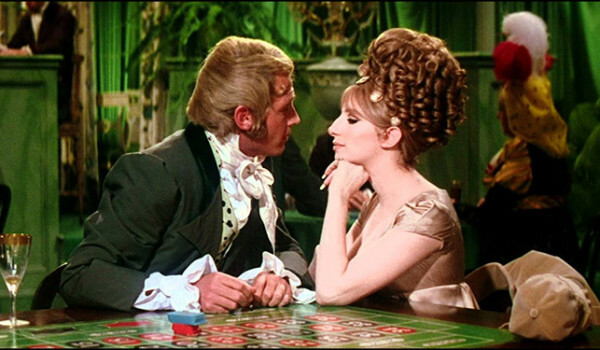 The movies that Barbra Streisand made in the 1960s-70s are great examples of the period’s preference to hang on firmly to contemporary fashions. She’s not the only one — look up most “historical” movies made in this era and you’ll be able to spot bouffants right and left. Clearly they are trying to reference period images like this one (Madame Recamier by Jacques Louis David). But unless Barbra’s character has a deformed head, that’s a WHOLE LOT OF HAIR. 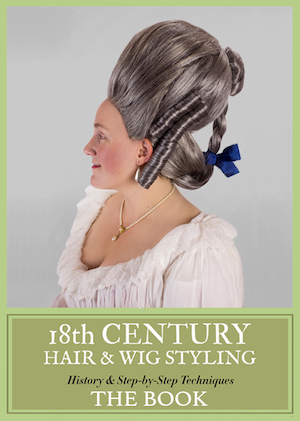 I mean, they wore hairpieces in the Regency era. But they didn’t wear HAIRPIECES. Oh good, put a turban on it! Now she looks like she’s from outer space. The dress is sort of 1910s? Wait, are we back in On a Clear Day…? Please explain what is 1930s or 1940s about this outfit. PLEASE. I guess this is supposed to be the ’30s, but then why all the volume in her hair? 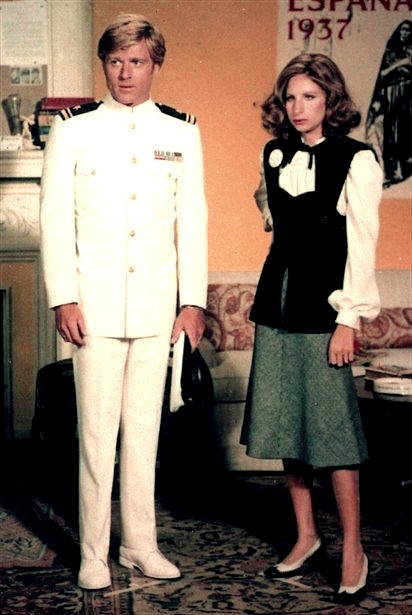 He looks like a Pan Am pilot, she looks like she’s a secretary out of 9 to 5. 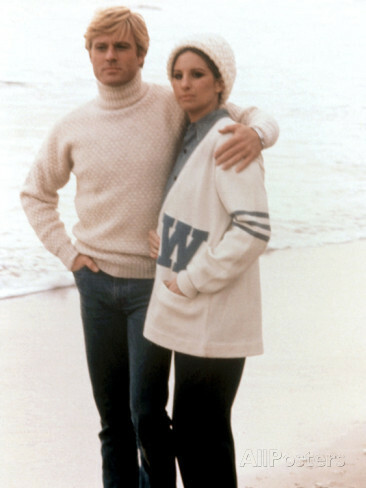 Barbra’s hair is vaguely 1930s here, if awfully ploufty. 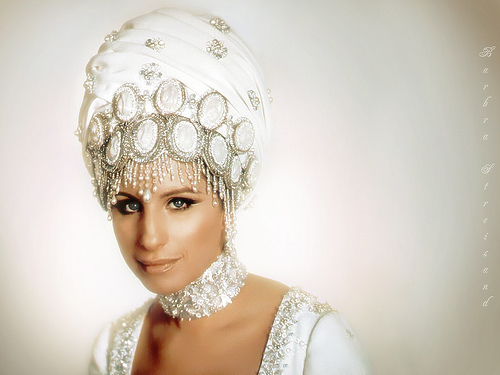 In post-war Hollywood, Barbra now looks like she’s auditioning for A Chorus Line circa 1975. A wardrobe test. She looks like she’s about to be on Three’s Company. Alright, lay it on me. Which “ohhh this is supposed to be PERIOD” movies did I miss? 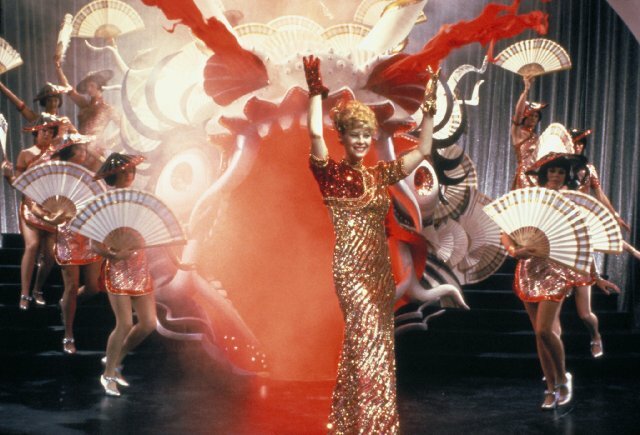 The early part of funny girl is set in the 1910s, and Fanny Price was a comedienne which explains the whacky stage costumes. I nominate the Cincinnati Kid http://www.imdb.com/title/tt0059037/ . If it hadn’t been for the IMDB summary I wouldn’t have known it took place in the 1930’s. 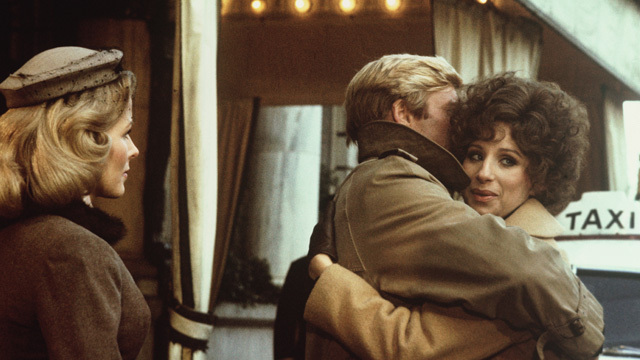 Check out Steve McQueen’s leather jacket on the front cover. War and Peace. Trust me, you ain’t seen nothing yet. So bad it’s . . . . bad (but train-wreck compulsive). I think my favorite thing for War and Peace was that they embraced that Russia might as well be Narnia when it comes to winter, but then you have someone run outside throwing a shawl around their shoulders. NO! PUT ON A JACKET!! Also that one-shoulder look is at a ball during the winter – yes it was indoors but do you really think they could efficiently heat that palace? That white turban looks like she is hiding Voldemort on the back of her head. One of the things I tell my students that that women’s hair is ALWAYS styled to be attractive to the time the film was made in. It’s a rare film in which a medieval woman plucks her hairline back. 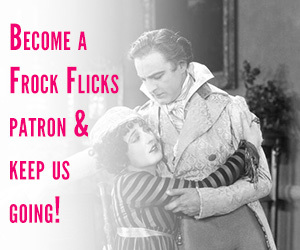 Yeah, this is the easiest dead giveaway for historical films, and modern makeup is a close second. It’s what makes “Elizabeth R” so great–they completely eschewed modern hair & makeup aesthetics and went whole-hog Elizabethan with Glenda Jackson. The supporting female characters are iffy, though. But at least they really stuck the landing with Bess. 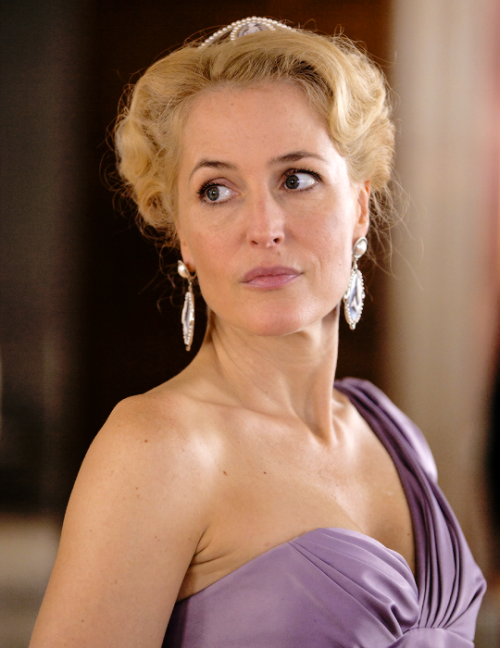 I had scene publicity stills of Gillian Anderson in that dress on tumblr and I assumed it was from Hannibal or a magazine shoot or something. I wish I’d remained in ignorance. 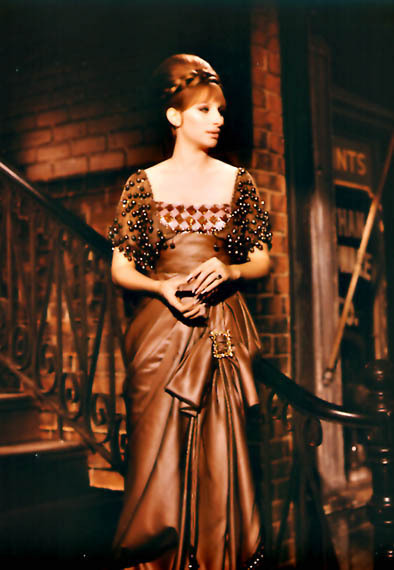 (1) Fanny Brice. With a B. (Not Price) (2) Barbara’s fingernails: huh? Check out the photo with the harp. WTF???? 1) Thanks, Jane Austen autopilot! 2) SERIOUSLY. My harp-playing friend is probably shuddering. I don’t get the modernizing thing either — something for a Frock Flicks POV! 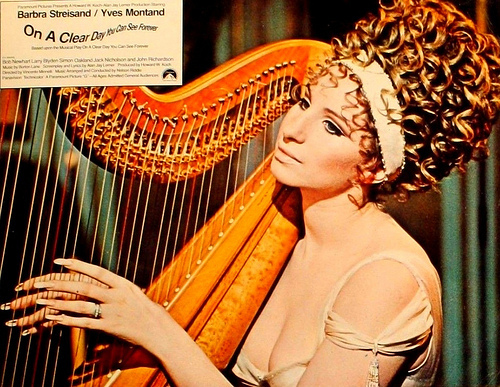 Yeah, I really want to see her play that harp with those nails. It cracked me up when I saw it and I only play a little bit. So far every image I have seen from the new War and Peace makes me shudder. War and Peace is one of my favourite books. The original BBC series which I watched when I was about 13, (and read the book immediately after) inspired my love of period costume and history. Why do contemporary productions feel they have to make the characters appear “modern” as though audiences can no longer relate to characters who dress differently to the familiar norm? I may understand WHY (see http://www.frockflicks.com/movies-playing-fast-and-lose-with-history-part-ii-why-does-it-happen/ ) but it doesn’t mean I like it! Clue comes immediately to mind as one of those “wait, it’s supposed to be period?” films. It’s set in what, the 1920s/1930s? Hell if I know because it all just looks like black tie 1980s. It’s set during the McCarthy era so late 40’s to late 50’s. Wait. 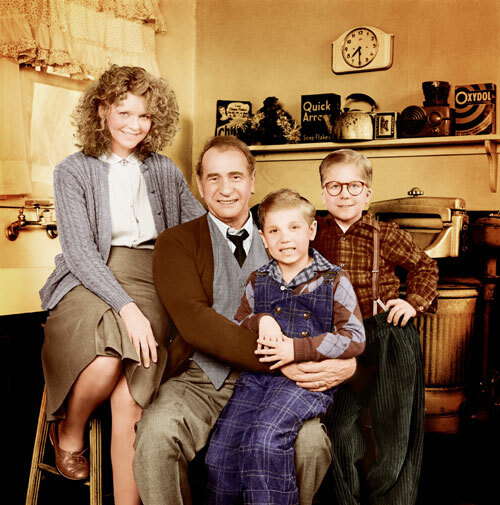 A Christmas Story is set in the 1930’s? I legitimately did not know this. 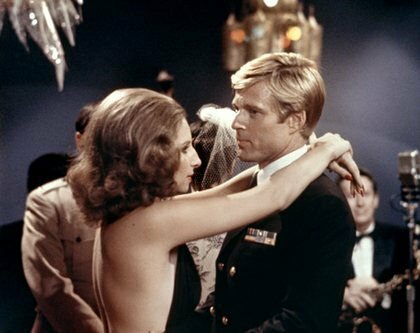 I’ve only ever seen pictures and figured it was set in the 1970’s. Didn’t pay much attention to the clothes, but the Mom’s hair always said late 1970’s to me for some reason. Red Dragon is supposed to take place in 1978, you’d never guess from the 2005 movie. The MGM movie Ziegfeld Girl (1941), which starred several young on-the-verge-of-superstardom actors (James Stewart, Lana Turner, Judy Garland, Hedy Lamarr), is one of my have-to-watch-its, even though it’s really a fairly crappy soap. I must have watched it at least 3 or 4 times before I realized that it was set in the 1920s (Stewart’s character gets arrested for bootlegging). The clothes are pure 1940s. Actually, Funny Girl takes place in the 10’s and 20’s. 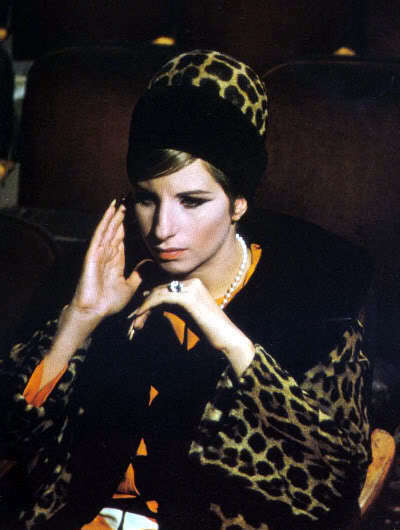 The film ends with the break up of her marriage to Nicky Arnstein. They were divorced in 1927. I was right there with you, till I watched it and they kept dropping World War II/McCarthyism references! As s person who binge-watches Funny Girl, the film starts out in the mid-1910s and ends in the mid to late 1920s. The “leopard” outfit is actually supposed to be in the 1920s. 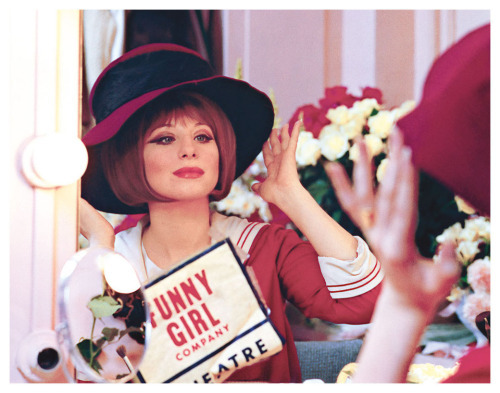 I don’t think that the last Funny Girl picture (with the red dress and crazy hat) is from the film; I’m not sure if it’s even Barbra at all. The picture is referencing a sailor outfit she wears in the “I’m the Greatest Star” scene, which is set around 1915, give or take a couple of years. I’d be interested in an actual review of the movie so you can let us know your opinion of the clothes. No, they didn’t. 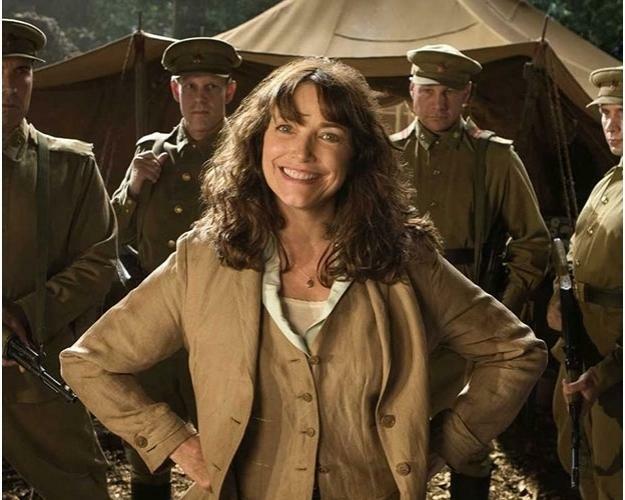 Karen Allen looked as if she was wearing a debutante gown, fit for a 17 year-old. 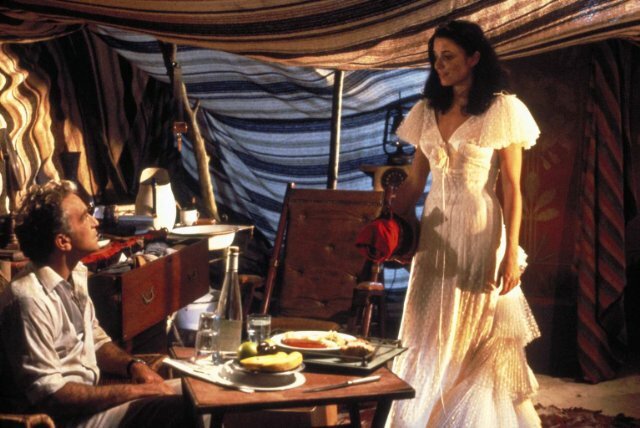 How old did Rene Belloq thought Marion Ravenwood was? And I wasn’t fond of Allen’s hairstyles. 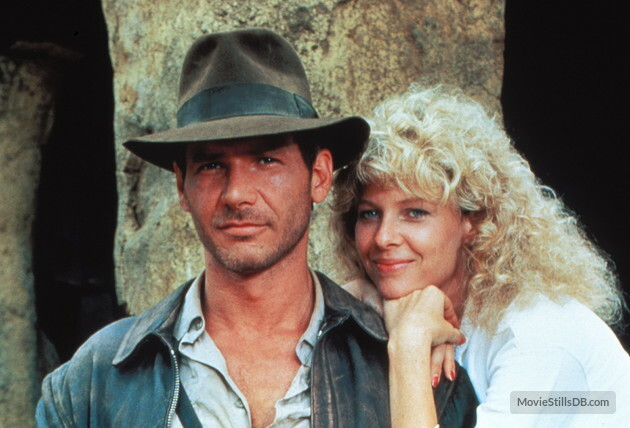 My major problem with Kate Capshaw was her hair. Her movie was supposed to be set in 1935, not 1945.